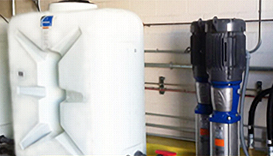 Westmatic's Large Vehicle Wash Systems provide environmentally-friendly water treatment solutions. In order to reduce your ecological impact as well as your water costs, we highly recommend incorporating one of our extremely efficient and compact water treatment systems into your wash process. Our Water Recycling System and Water Purification System, RENAREN, will drastically reduce your water bills as well as your impact on the environment. 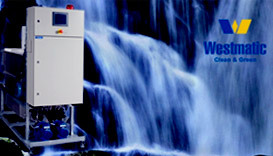 Westmatic's proven Water Recycling System enables water reclamation of up to 85%. In order to purify the 15% of the wastewater not recycled, the answer is Westmatic's world-patented "RENAREN" Water Purification System. Without any chemical additives in the process, wastewater can reach a purification level of 99%. Once the water leaves the RENAREN system, the water is clean and safe to proceed out into the sewage system. Please contact us by following this link if you would like to receive more information about our environmentally-friendly water treatment system.